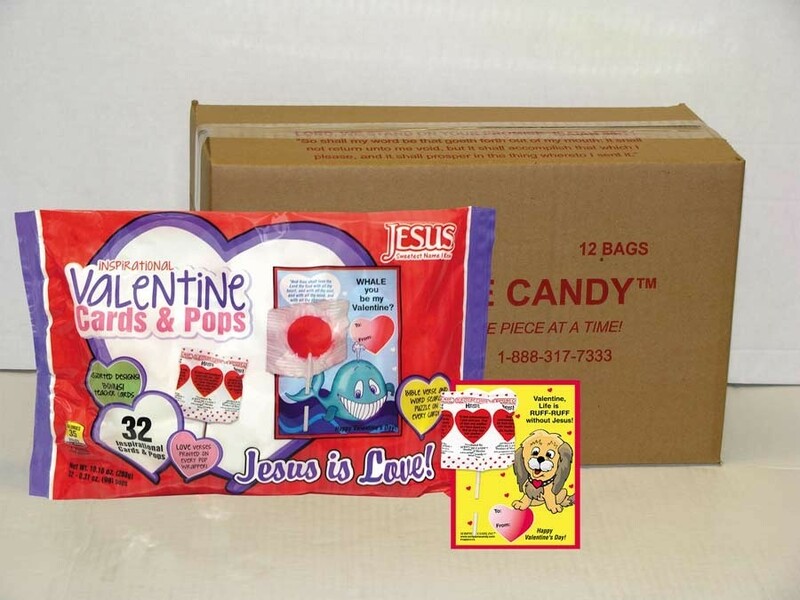 Each Scripture Candy bag is filled with 32 Valentine's Day cards and 32 lollipops. Each card has a special Valentine's Day greeting, "love" scripture, a "To: / From:" signature area, and word search puzzle. Each Scripture Candy bag contains a variety of adorable card designs plus 2 teacher card designs. Each Scripture Candy pop is individually wrapped in a "love" scripture. Great for taking to school and church parties!